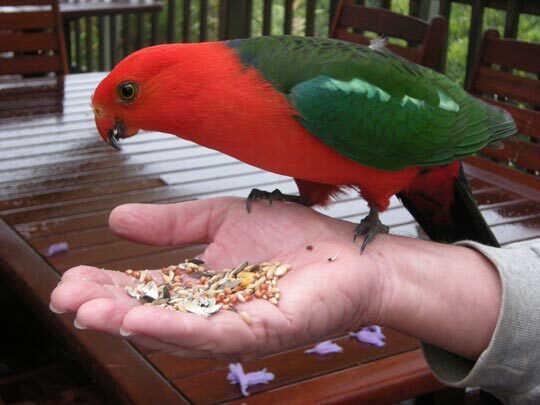 Tamborine Mountain Bed & Breakfast believes that we all have a responsibility to care for and protect this unique environment in which we live & operate. Pollution reduction through careful & efficient use of all Resources & Energy. Development & Implementation of Strategies to improve our Sustainability. Through the promotion of these environmental & sustainable strategies, we encourage our Guest and the local community to also take a proactive role to assist the environment. Please contact us if you would like further information regarding our policy & strategies. 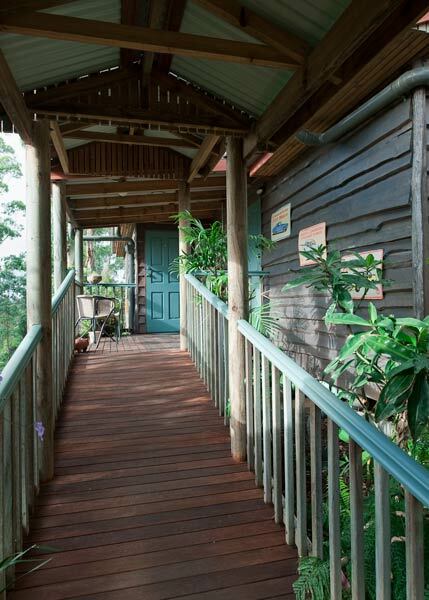 Case Study by Pam Lambert of Tamborine Mountain Bed & Breakfast. Having grown up in the era when families had their own vegie garden, bought from the local market gardens, green grocer, baker & dairy, and ate only what was in season, of course, this was well before reducing our carbon footprint became fashionable, I have been conscious and increasingly concerned of our devastating effect, we humans have on the environment. 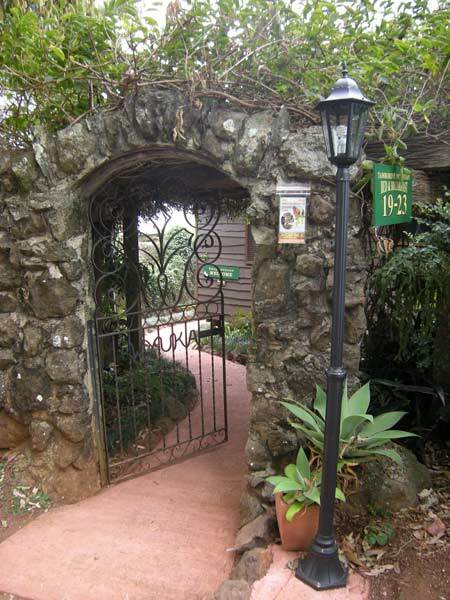 My husband & I have owned Tamborine Mountain Bed & Breakfast for the last 9 years and feel blessed to be living in this unique area of Tamborine Mountain where today we still buy from the local growers & businesses. At our B&B we are continually promoting and providing the local food experience and striving to reduce our food miles and carbon emissions. By displaying our Environmental Policy in each of the accommodation suites, we encourage our guests to also Reduce, Recycle & Reuse, both here and into the future. After initially participating in the Biggest Carbon Loser Challenge, I was enthusiastic to progress and take part in the Scenic Rim Climatesmart Business Cluster with the aim of researching, developing and implementing new strategies to improve our sustainability. As well as meeting and developing friendships with like minded people. I was delighted in achieving the goal of reducing our Food Mileage by the desired 10%, as I realized that before joining in this program, I had already achieved a fairly low mileage. However, to exceed this reduction by an extra15%, a total of 25% was amazing! We have reduced our energy usage by implementing sensor lighting throughout the garden and guest areas. 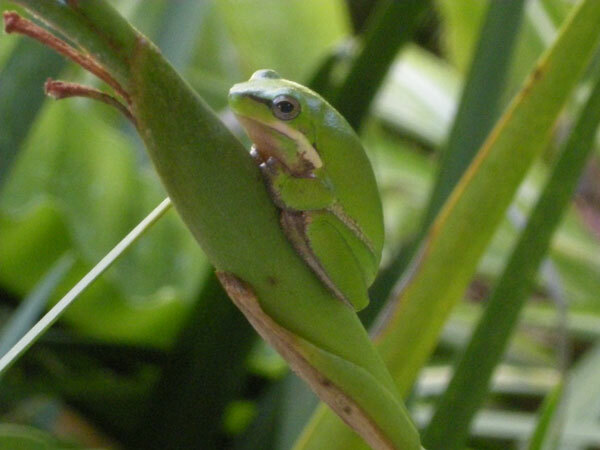 This however, has a slight disadvantage of being triggered by the pademelons, possums and other wildlife that frequent the garden at night. Low energy light bulbs are used throughout, with skylights also reducing the use of electricity. 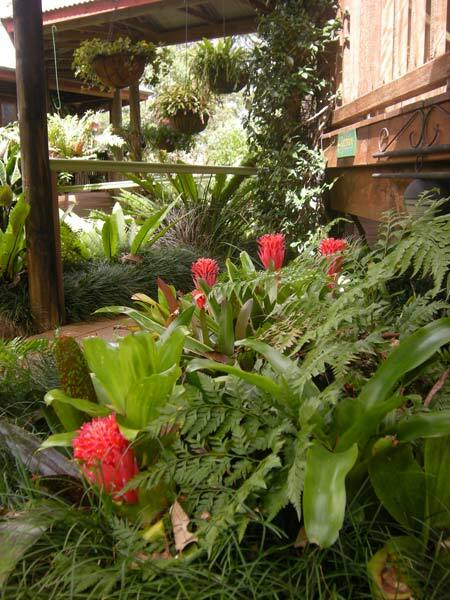 We rely solely on rain water and our bio system disperses waste-water throughout selected areas of the garden. Worm farms and compost provide nutrient for our fruit, vegies, herbs and other plants. We have also now invested in Solar Energy and the buy back scheme. Our food mileage was reduced very easily. For example; by omitting Smoked Salmon (from Stage 1 Calculation) reduced the mileage by 2,050km & Emissions by133.9g CO2-e. It’s amazing what can be achieved by prioritizing and applying simple strategies! Fruit, Vegetables, Dairy & Breads are bought from the local producers. In season, I freeze, preserve and make jams with what is bought locally & grown ourselves. Our guests love to know that the jam on their toast is made from the fruit they see on the native Davidson Plum Tree growing near the frog pond, while the rhubarb and ginger is fresh from the back yard. I encourage all business operators to support their regional & local suppliers/ growers where practicable. Through continual investigation, education and the implementation of opportunities to reduce food mileage & carbon emissions, we support our local community, maintain sustainability and hopefully protect our beautiful environment.